During the monthly gathering, Mary Ellen Schneider, the facilitator, will focus on a different topic that will challenge participants to think deeply about their faith and enter a prayerful conversation with each other and the Lord. 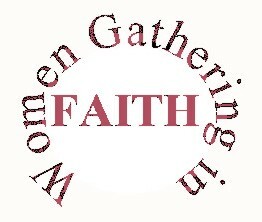 The gatherings will be centered around topics that will expand into conversation and faith building. A list of topics for the current year can be found in the Fall, 2017 parish newsletter: “Catch the Spirit”, can be found in the BULLETINS/NEWSLETTER page of this website. Depending on the topic covered, the participants will be able to take home a special gift that can be used as a reminder of the lessons learned.